Since it becomes quite obvious early on, I don't think it is a spoiler to say that this book is about, among other things, hoarding. I'm actually rather glad that this wasn't spelled out in the summary because I'm not sure I would have read this book if it was. There are some borderline-hoarders in my family and, well, this isn't a topic that would appeal to me. That being said, I am so glad that I read this book. 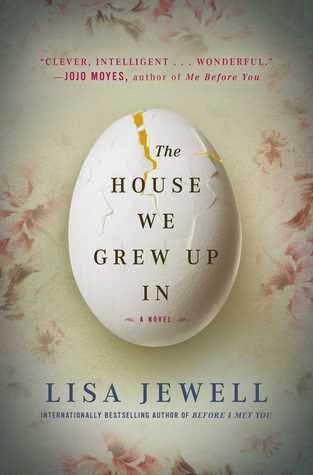 Jewell has written a masterpiece with this one--we meet the Bird family, centered around the eccentric mother, Lorelei. Lorelei's children (and husband) are aware of their mother's illness and we see how the ripple effects of that illness show up in her children. This story is told in sort of a double-flashback. One one layer, we have the oldest daughter Megan and her daughter (and then other members of the family) in the present day. Then, we go back a few months in time to Lorelei's email correspondence with an internet suitor. Finally, we go farther back in time to when the children were growing up and into their adulthood. This structure shouldn't work....but it does! It sounds confusing, but Jewell actually does this quite seamlessly. I really enjoyed seeing how the characters developed. Each had their own cross to bear and none could escape the effects of Lorelei's illness. I felt that the characters and their evolution were believable--with one exception. Colin's story arc was a bit over the edge for me. It almost felt like Jewell was using him and doing everything in her power to keep a secondary character in the story to catapult part of the greater plot along (if that makes any sense). Lucikly, Colin's storyline was the only drawback for me and, if it hadn't been for that, I would have given this book 5 stars. I heartily recommend it!